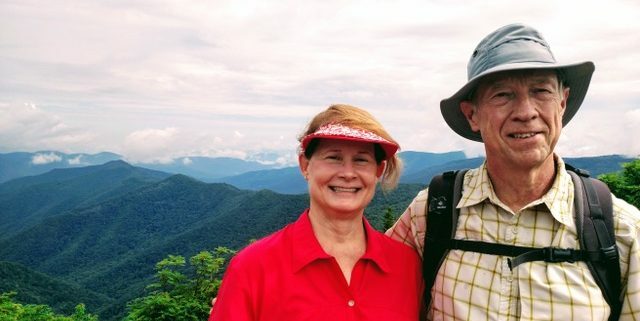 Ron and I hiked Sam Knob on July 3 with a group of our neighbors. Here’s a photo from one of the summits. We continued on to Flat Laurel Creek and down to Wildcat Falls before the heavens opened. We raced back 3.5 miles to the cars in the pouring rain. My boots took 3 days to dry out!